The question is how far does friendship go? Oh dear it appears I’ve upset the SNP with the blog I posted suggesting that their Early Day Motion owed more to the Zionist ‘anti-Semitism’ lobby than Palestine solidarity. The person who drafted it, one Gary Spedding, texted me furiously tonite decrying my suggestions. 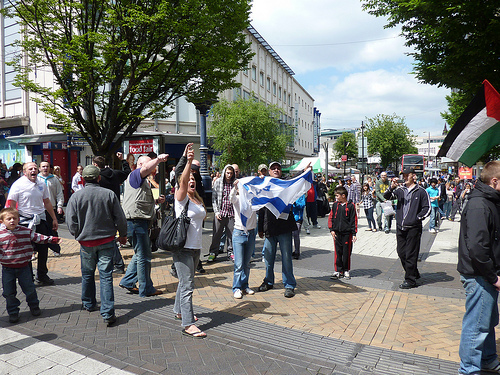 The real anti-Semites: EDL attack on Birmingham PSC stall - Hitler salutes and Israeli flag too! Having gone on to his blog it would appear that he is pro-Palestinian, in a vague sort of way, but in a controlled and directed manner, i.e. he has to have his ‘pet’ Palestinians who agree with his liberal imperialist viewpoint which is one of conflict resolution etc. No mention of Zionism or the structures of oppression. It’s no surprise that he boasts of having worked for the Alliance Party in the North of Ireland. Republicanism must be an alien tradition which is why the North’s SDLP signed the EDM. I stand by my critique of the resolution. Indeed the longer I look at it the worse it looks. i. It notes that ‘the single biggest contributing factor’ to the rise of anti-Semitism has been the reaction to the ‘armed violence between Israel and Gaza.’ This is then linked to anti-Semitism being part and parcel of the Palestine solidarity movement. ii. It cites the CST uncritically, despite them being a vehemently anti-Palestinian group, which hates anti-Zionist Jews in particular. 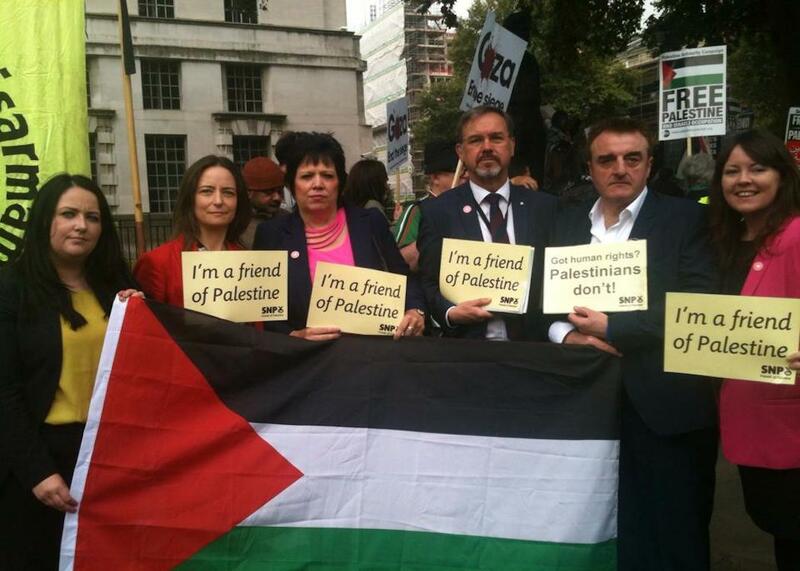 Spedding says he consulted anti-Zionist Jews first. This I doubt if one or 2 contributors to comments on his blog are anything to go by. iii. The description of the genocidal attack of Israel on the Gaza is described as ‘the armed violence between Israel and Gaza’. A curious formulation. iv. It engages in the politics of equivalence, talking about bringing the benefits of peace to both the Palestinian and Israeli people’ which is a convenient way of ignoring who is the oppressed and who is the oppressor. It also omits all mention of Zionism. v. It’s also wrong about the ‘benefits of peace’ being equal. Israelis are privileged by Zionism, Palestinians are not. The benefits to them are far less tangible, indeed arguably non-existent. Spedding should read Martin Luther King’s ‘Letter from an Alabama gaol’ on how the privileged don’t ever give up their privileges voluntarily. What puzzles me even more is that Spedding is drafting all these EDMs, 50 at least he says, yet he is unpaid. The SNP contingent in Parliament must be getting a few million pounds in ‘Short’ money. Why isn’t he being paid? Me thinks young Gary is being exploited and should demand the living wage.! That this House notes with concern that the Community Security Trust recorded a doubling of anti-Semitic incidents across the UK in 2014 to 1,168; further notes that the pattern of these attacks reveals the single biggest contributing factor to have been anti-Semitic reaction to the armed violence between Israel and Gaza in July 2014; condemns all forms of racism and affirms that anti-Semitism has no place in campaigns of solidarity with Palestinians; calls for the adoption of all necessary measures to eliminate racism and anti-Semitism, while emphasising the democratic right to criticise the governments and policies of any and all states whilst ensuring this avoids spilling over into group-blame or racist stereotyping; further calls on all sides of the House to combat racism, and for hon. Members to make clear the distinction between the Jewish community and to encourage responsible public debate and use of language around enhancing inter-communal co-operation and education; and calls on the Government to actively seek a just and stable resolution to the conflict that would bring the benefits of peace to both the Palestinian and Israeli people. It also appears that the motivation for this EDM was a thoroughly sectarian one. Labour’s Gerald Kaufmann MP has been under attack for some unwise words about ‘Jewish money’ which in the context are not anti-Semitic. It would appear that the SNP sought to take advantage of this to embarrass Jeremy Corbyn and to do it at the expense of the Palestinians. That really is shameful. good then let's discuss. But what is disgraceful is the suggestion that the existing Palestine solidarity movement tolerates, in any shape or form, anti-Semitism. As someone who is Jewish I find that particularly insulting and there is a far higher percentage of Jewish people involved in the PS movement, than their share of the population would warrant. Not that the mass media would ever supply you with such information. 'Anti-semitism' or to be more accurate the 'new anti-Semitism' is the last resort of the desperate. Apparently Obama has joined the long list of anti-Semites if Netanyahu's press spokesman is correct. Indeed Hitler himself was an unwilling participant in the holocaust, having been browbeaten into it by the Grand Mufti. 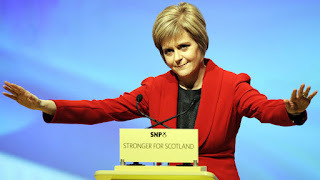 The SNP hasn't given a great deal of practical support to the Palestine solidarity cause and Alex Salmond I recall has been pretty sympathetic to those confusing anti-Zionism and anti-Semitism. It would have been helpful to have consulted first and acted afterwards. 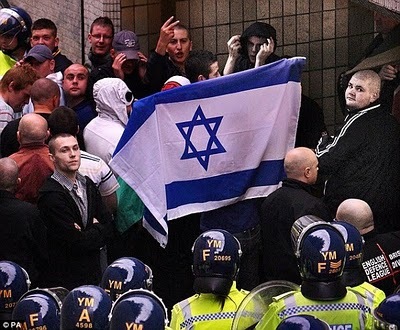 As a member of this movement I can say it does tolerate and is complicit in some anti-semitism. I see it at the meetings I attend. I see it in parliament. I understand you are set in your ways, but the majority of left-wing anti-Zionist Jews with whom I consulted on the drafting of this motion approved it and even offered ideas for changing the initial wording. If you only see anti-semitism as a last ditch attempt by desperate Zionists then you need to reevaluate yourself seriously. You also need to apologise publicly for smearing the SNP - especially to Philippa Whitford who has a very clear record in supporting Palestinian rights. The motion itself has one mistake in it. The rest is absolutely crystal clear. The SNP has made huge commitments to Palestine solidarity - I would know, because I've been advising them on these things and taking Palestinians to parliament to meet with them. You acted without first checking the facts. I already have your email address, it's been splattered all over my inbox with the various emails you sent to the MPs that I work closely with on these and other matters. What might be embarrassing for you, In fact it is already embarrassing, is that you suggested in your blog post that this is all a Zionist formulated idea. In reality, the motion came from an individual (myself) who is on record as being very anti-Zionist. the motion has all the appearance of being drafted from a Zionist perspective. Anti-semitism isn't the problem./ It's the daily death toll in Palestine and the way spurious allegations of anti-semitism are being used to deflect attention from this. Anti-semitism in this country is not a problem. It is marginal. Where it occurs I have always fought it , not least on blogs like this. Perhaps you would like to google the Zeon French cartoonist . And the reason the SNP put the motion is because Labour under Corbyn wouldn't and I didn't want the conservatives to do it because I'm tired of the fight against anti-Semitism being monopolised by right-wingers, used to bash the fight against islamophobiq as if it's a competition and then gets pro-Israel rhetoric inserted into it. Where there are spurious accusations of anti-semitism it's absolutely vital to point them out. But this motion is NOT one of those. Well I'm sorry if I upset people and if the motion was well meaning but that is not how it comes across. The priority at the moment is solidarity with the Palestinians. I am not going to get into the Corbyn thing except to say that the attacks on Jeremy have been part and parcel of the false use of 'anti-Semitism'. I am more than aware of +972 magazine but they have the right priorities. Where is y our EDM on theextra-judicial executions of Palestinians, or the description of Palestinians as animals and sub-human by the Deputy Defence Minister in charge of the Territories, Eli Dahan. This motion is seriously wrong. And anti-Semitism does NOT and never has had a place in the PS movement. Even the Board of Deputies representative was forced to concede that I led the fight against Gilad Atzmon. I can go through the EDM list and send you the ones that I've authored - I've done one on extrajudicial killings and I'm waiting for amnesty Israel to get back to me on wording. fine but this is the only one I've seen. And it's suggestion that anti-Semitism in the PS movement is a problem is simply wrong. I don't think it is wrong - it accurately reflects a problem and demonstrates that pro-Palestine MPs take the issue seriously. It only strengthens their position as Palestine solidarity advocates.